What Is The Best Video Camera For A Church Sanctuary? 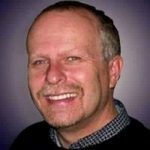 How Do You Stream Church Services Using An IP Camera? What Is The Best Church Video Camera Package? Here at Easy Church Tech, I like to review products that will be helpful to churches, ministries, and other organizations that are trying to get their message out to the world. Whether you are starting to live stream your services, produce video announcements or even are launching a video production ministry, I want to help you discover the best product for what you want to accomplish. 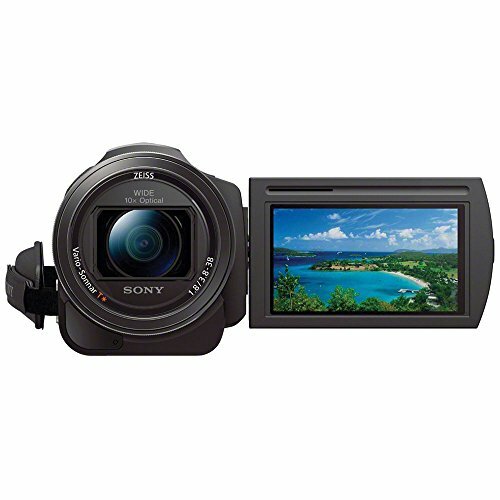 That is why I have done this Sony Handycam FDR-AX33 4K review. 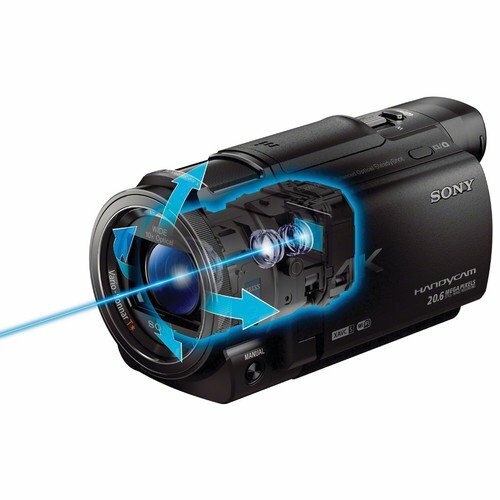 Once again, Sony produces another great camcorder that gives you professional results, at a price you can afford. This camcorder lets you capture 4K 24p-30p video that is so much better than HD resolution you will hardly be able to believe your eyes. The Direct Pixel Readout gives you smooth edges and excellent color graduation. You can enjoy versatile shooting with XAVC S3, AVCHD, and MP4 codecs, and the Manual Control ring can be used to control the iris, shutter, exposure, and white balance. This camera also has a Balanced Optical SteadyShot technology, which gives you excellent image stabilization. 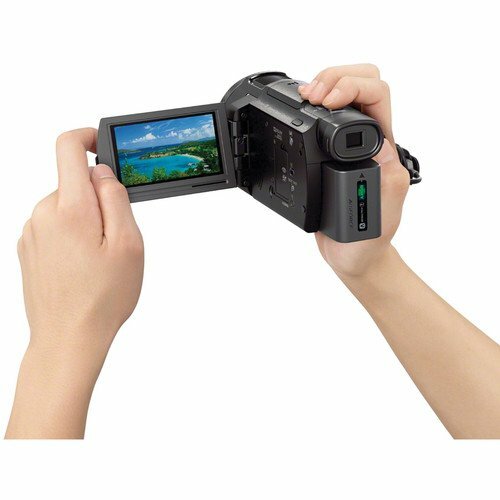 One of the cool things about this camcorder is that it can create a highlight7 video in MP4 using multiple clips. You can connect, control, backup, and share your videos wirelessly, thanks to the NFC2/WiFi. You can even broadcast live, right from the camcorder. You have to connect to Ustream to start streaming your videos as you make them. SAVC S Codec – The SAVC S codec, along with super-high resolution, allows you to create some of the most vibrant and realistic images possible with any camcorder. The image processor is high-speed. In fact, it is the same image processor that is used in professional Sony cameras. Image Stabilization – This is the first time a camera uses B.O.S.S. image stabilization in conjunction with shooting in 4K. On most Optical SteadyShot cameras, there is a single shift lens that is moved within the optical block to help reduce camera shake. You will enjoy even less camera shake with the Balanced Optical SteadyShot, which moves the whole optical block at one time. ZEISS Optics – Whether you are shooting in 4K or HD, you will be able to capture amazingly clear images with this ZEISS Vario-Sonnar T lens. This is a new technology in camera lenses. It is a 29mm, wide-angle lens that is ideal for landscapes. Use the zoom feature, and you can get up close and personal with your subject, even at a distance. Manual Controls – Instead of having to bother with a bunch of fiddling and fussing, you can enjoy using easy manual controls. These will allow you to have total control over the focus, as well as being able to control the iris, shutter, exposure, and white balance. These enhanced manual controls give you more control over the final quality of your videos, while you are recording them. 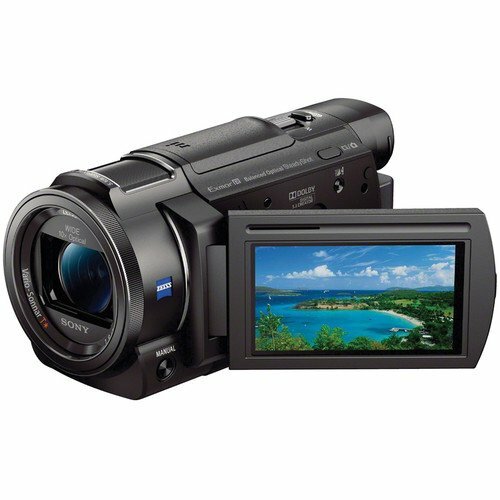 Touch Screen – This camcorder has a 3-inch (921k dot) Xtra Fine LCD screen. You will be able to see your images correctly, so you can quickly compose your shots, even in bright sunlight when it can be challenging to look at some screens. You can change the settings to make the screen easier to see, and it lets you efficiently use the menus and advanced features. Now we have to talk about the things about this camera that are not so nice. You need to be aware of both the good and the bad before you go out and spend much money on a prosumer-quality camcorder. Here are the pros and cons you need to be aware of. 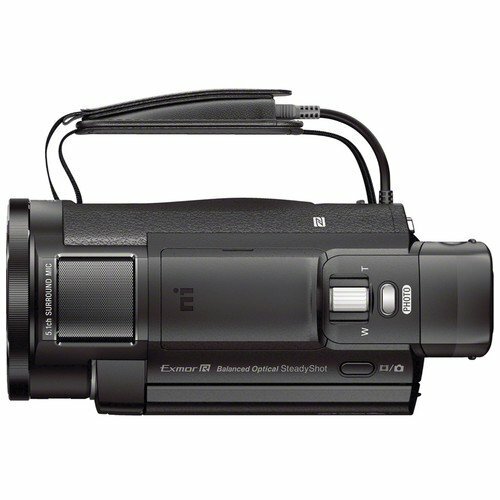 High Contrast – This Sony camcorder uses high contrast. The Tru-Finder EVF recreates a vibrant color, as well as the deepest black. The new optical design of the EVF uses four dual-surface spherical lenses. Surround Sound – Enjoy shooting in Dolby Digital 5.1 for the most professional sound quality you can get from a camcorder. Experience home movies never like before, and enjoy them as they sounded while you were recording. Share Wirelessly – You can connect to an iOS or Android smartphone or tablet with Wi-Fi, and use the PlayMemories mobile app to control the recording, photos, and zoom on the camera. You can also use it to transfer and share movies and photos. Focus – Some users report that the lens is only in sharp focus when it is zoomed out. When zoomed in, the focus quality lessens, especially in low-light situations. Malfunctions – Some users report a few bugs, including having all of their recordings erased after a few days. This is a glitch that is not common with this camera, and only a few users have reported having this problem. Charger – Some users report that the charging cord can be a bit finicky. If they happen to bump it, the charging will stop. You will have to be careful to make sure nothing hits it during the charging process. 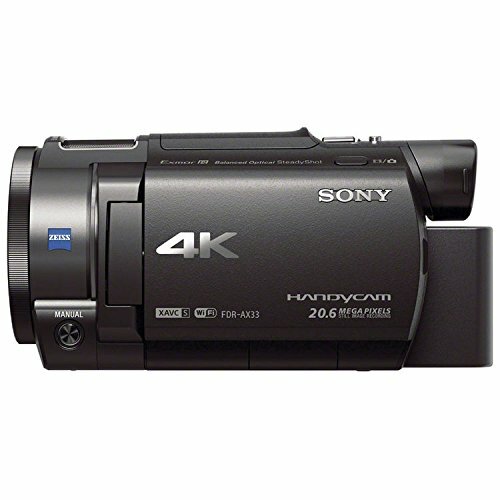 The Sony Handycam FDR-AX33 4K was chosen as part of my list of best 4k camcorders for a church for a good reason. 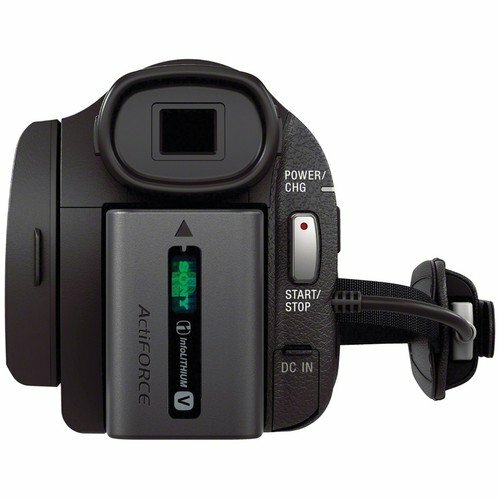 It is reasonably priced and produces great video. The Sony brand is well-liked, and it has good reviews on Amazon. 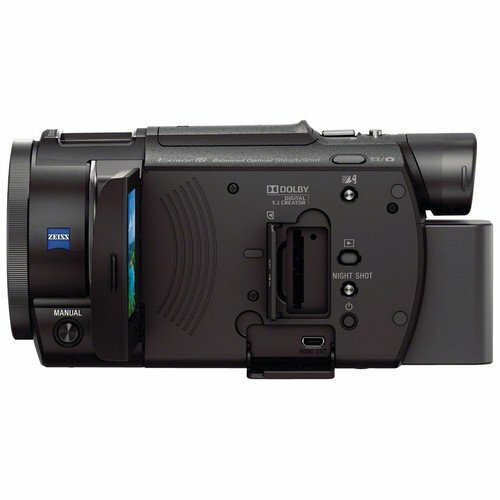 I believe you will get great use out of the Sony Handycam FDR-AX33 4K. Are you looking for the best 4k video camera under 1000 dollars? 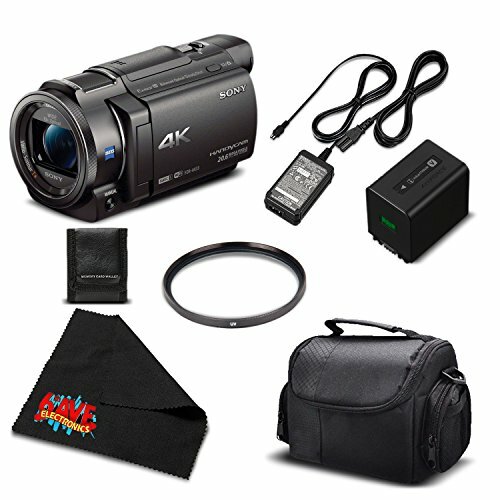 I have found 5 4k camcorders under 1000 dollars for you to consider.